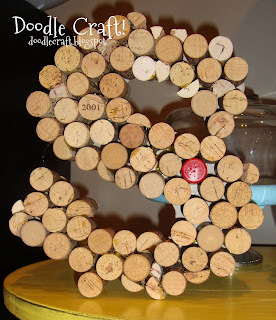 Doodlecraft: Another Monogramed Cork S! Well, my sis-in-law wanted one too! so she got her wish! but overall it looked good! I like that red one in there too! wow. what a great thrift store find. I'm so jealous! Holy cow, I can't believe how busy you've been. So cute. And what a find at the thrift store!